When and why did you start to become a collector? My Father is a Havana cigar aficionado and my late Grandfather a cigar connoisseur. I grew up with the gentlemen in my family always smoking fine Havana cigars so it felt natural to try my first Havana cigar at the age of 15 and I have been enjoying Havana cigars ever since. My family has amassed a collection of our favourite cigars over many years and in particular Davidoff, Dunhill and pre embargo Havana cigars but personally I consider myself a cigar merchant of aged and rare Havanas rather than a collector. 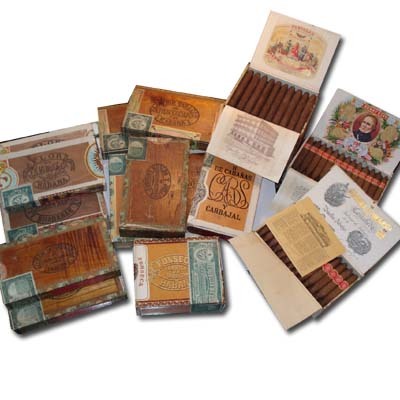 I am lucky in so far as my company C.GARS Ltd is the leading cigar merchant in the world of aged and rare Havana cigars so every week of the year I am buying and selling aged and rare Havana cigars from collectors all over the world. In our purpose built walk in humidors we always have a 500 -1000 boxes of vintage and very interesting cigars but our stocks are ever changing so my job is never dull! Havana cigars have been a passion from an early age and I think I have studied every book on Havanas that was ever written in English. Some years ago my family invited me to join the family business with particular responsibility for vintage cigars which I was pleased to do. My Father has since retired and I have taken over as Managing Director. Our Group also owns 10 retail shops in London, Liverpool, Chester, Cambridge, Glasgow and Edinburgh although our shops mainly sell modern Havana cigars as well as single malt whisky. 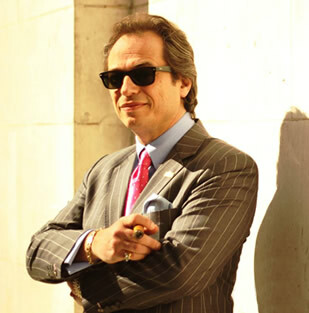 I believe we are the largest cigar specialist in the UK. Our business interests include retail cigar outlets in London, Liverpool, Chester, Glasgow and Edinburgh although our shops mainly sell modern Havana cigars. What are the most important cigars for collectors? Other important and rare Havana’s include Flor de Cano Short Churchills, Cubatobacco 1492 Limited Edition Humidor of 50 splendid corona gordas with each cigar band individually numbered, Bolivar Gold Medals, Montecristo B and Cubatobacco 25th anniversary humidors of 50 “cosacos” vitola cigars are always highly desirable. 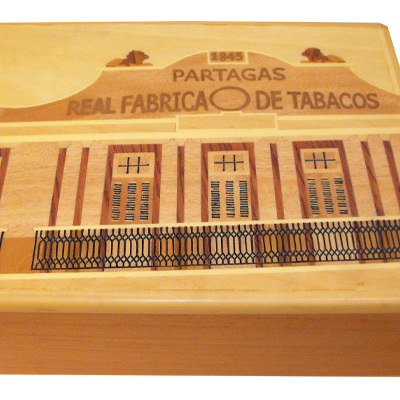 Partagas 150th 155th and 157th anniversary humidors are ever popular and raise very high prices. Pre embargo cigars have a certain following. If they have been stored correctly they are still incredible cigars to experience. Can you describe the world of cigar collectors? I deal with collectors throughout the world including The Far east, North America, The Middle East and Europe. There is no typical profile of the collector. Some collectors will only be interested in vintage Davidoff and Dunhill whilst others have more eclectic taste and will have a variety of vintage cigars from the 1940’s to the 1980’s. Is this an investment or do people buy precious cigars to smoke??? 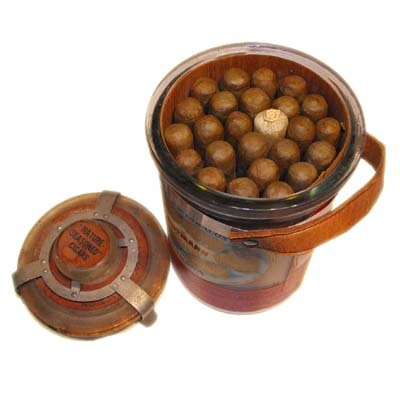 And… are vintage cigars looked after well enough to be smoked or not? Typically most collectors we deal with smoke their cigars and it is not uncommon for the collector to always attempt to purchase two of the same boxes of cigars. One for smoking and the other for their collection. Vintage cigars have proved to be a worthwhile investment although prices do of course fluctuate with general economic conditions in the world. Our company manages large collections for clients. In these instances we are constantly buying and selling cigars for the client and the client smokes his profits! Cigar collectors are famously generous and love to share and compare which makes the art of collection all the more pleasurable. I have enjoyed so many cigars over the last 30 years that it is hard to say which are my favourites. I smoke different cigars at different times of the day or for different occasions. Of course with a full bodied red wine I prefer a spicier cigar such as a Partagas Lusitania or Bolivar Corona Gigantes always from 1994 or older as the blends were very consistent for the brands before 1995. With a white wine or champagne I prefer a more delicate flavoured cigar such as the hermoso sized El Rey Del Mundo Choix Supreme or my favourite cervantes sized Saint Luis Rey Lonsdale in cabinet selection. I have been very impressed with the maduro wrapper edicion limitada range of Havana cigars and in particular the Hoyo Piramides is my favourite. A cigar bursting with sweetness and complexity throughout. My favourite aged Havanas are numerous but I think that the Davidoff Chateau Haut Brion at the small size of 4″ length and 40 ring gauge provides an enormous amount of balanced full flavour and medium strength and is the most perfect blend ever created for a small vitola. The corona grandes sized Davidoff Chateau Mouton Rothschild is my evening cigar of choice. Each one perfectly crafted and consistently blended. I have enjoyed many Davidoff Dom Perignon and Dunhill Cabinetta and Estupendos over the years….the joys of being a cigar merchant are never ending! Christies used to hold cigar auctions in London twice a year and occasionally in Geneva and my company was the single largest buyer at these auction sales. There were some incredible cigars to be found at auction but it was most important to check the condition and appearance and authenticity very carefully as it is not possible to rely on an auction catalogue description alone. Havana cigars will mature and improve for many many years but they must be stored correctly. The rule is for long term maturing….”store them cool and a little more dry” around 65% relative humidity as a maximum and no more than 64-65 degrees Fahrenheit temperature in order to slow down the maturing process. A correctly stored vintage Havana will provide a great deal of pleasure but a badly stored vintage Havana is of course worthless. I regularly travel to Cuba and visit the Pinar del Rio as well as the cigar factories in Havana to keep up to speed with the cigar scene and of course innovations and improvements in quality control. I have not been disappointed in recent years. It just keeps getting better. My personal promise and guarantee to all of our clients large and small is that you will never find better service, quality or prices in the UK. Just read that you are coming stateside soon. Be safe, enjoy, and look forward to your posts and pictures! Once again I had a lovely smoke in Casa del Habano this weekend!. I have been waiting for a good cigar emporium such as yours for twenty years!. my Grandfather was a big Havana smoker and pushed a Romeo and Julieta tubos in my sweaty palm at sixteen and told me to smoke something good! !, and the rest is history! !.Thank you again for your Casa del Habanos and Calum is an asset to your company,I have never met a guy who is such a complete cigar nut as me. “peaceful puffing” and all the best to your good self.